All right, so I’m a couple of days late. Publication day really slid past me this week. In my alternative world I would just get up and write, be at my desk at at my computer all day, posting and reposting and replying to people. But of course it didn’t happen, because the real world — you know, the one we have to experience before we can write anything — kept getting in the way. And so, as it turned out, I was out most of the day. Blink, and you missed me. Now that Going Back is out there in the big wide world (and if you read and enjoy it, please leave a review or just let me know) I have a moment to sit down and think about what to do next. The next book, of course. 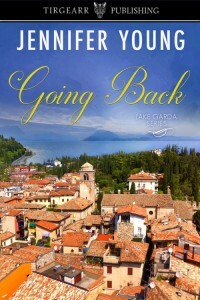 It’s the third in the Lake Garda Series and it’s the story of Nico’s little sister Giorgia, part Cinderella and part poor little rich girl.